USA-Sen-Tenn VPOTUS Climate Change 1948- Al Gore after college attended Vanderbilt Divinity School seeking training in the philosophy of religion and ministry, before switching to the more commercially viable option of Law School. He remained in the community-organizer role (particularly as a designer and advocate for a commercial viable, government supported internet) throughout his later career. USA-Sen-Tenn VPOTUS Climate Change 1948- Al Gore was a journalist (3) reporting on government (10) before starting his political career. After his political career ended, he became a major reporter on global social policy (10) delivering anti-pollution environmentalist evangelism. 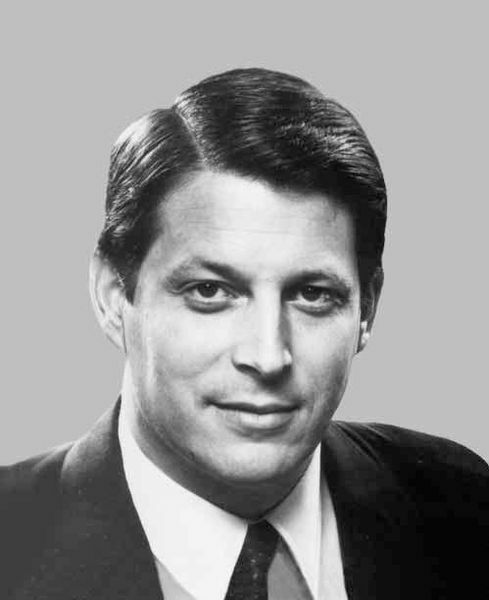 Gore won the 2007 Nobel Peace Prize for his scientifically accurate reporting (3) on global warming pollution. = personality similarity between father and son, and an at-birth affinity for politics. Surya occupies the emotionally stable, educational, foundational, patriotic 4th-from-Chandra, suggesting a reliable and grounded relationship with the father-figure. Surya + Chandra hold 4-10 relative angles = enduring, stable, respectful . Both mom and dad were practicing, licensed attorneys. His mom's specialty was divorce law Chandra-6. Surya rules 2 values lineage, family treasuries, history, matters of family lineage, family treasury and financial collections, knowledge storage, and face-voice-mouth-eyes appearances. Honoraria from speaking engagements helped to develop his substantial financial estate. USA-Sen-Tenn VPOTUS Climate Change 1948- Al Gore's family identity was defined by the political (Surya) career of his father, an influential USA Senator from Tennessee * karako bhavo nashto an overwhelmingly righteous father. The son's Surya-Meena-9 is ruled by a powerful Guru-Dhanushya-6 suggesting dad's involvement with war, racial conflict, and other adversarial accusations of the 1960-1970 era. While dealing with the constant stream of social problems (6) Both the son and the father spent the majority of their lives in the political capital of the USA, Washington DC. Chandra in classroom-6 lagnesha suggests a strong if conflicted bond with the mother. Chandra controls the social identity affiliating Gore with topics of poverty-gap in education and medical care, remediation of environmental pollution, and accusations of many varieties (Guru many) Brihaspati gives mixed results as ruler of mulatrikona Dhanuzya-6 betrayal, disputes, broken promises ++ ruler of dharmasthana-9 containing Surya = worldview, principled thought, sacred teachings, global understanding. 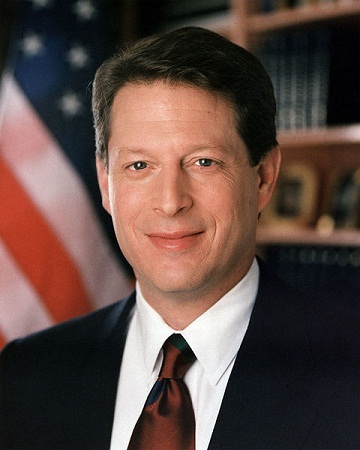 Like his mother , son Al Gore = a complex man with exceptional sensitivity (Chandra) to conditions of human suffering, a preacher's approach to problematizing (Dhanuzya) and the visionary capacity to inspire others to political confidence (Surya-9). Typically Chandra-6 indicates that mom lives with a health condition. the defensive, culturally-rooted, routine-loving, patriotic, nationalistic, comfort-seeking, home-loving, foundational, property-owning 4th-from-Chandra-Mula contains pitrikaraka Surya-9. As a schoolboy, he was widely recognized due to his father's high-profile career. Typically Somana-yuti-Guru grants a large frame and a heavy-set physique due to over-feeding. Before entering politics to continue the legacy of his famous politician father * Surya-9 *, Gore attended Vanderbilt Divinity School to prepare for a career in religious ministry. After completing his political career, Gore embraced the environmentalist ethical (Chandra) narrative; he won the 2007 Nobel Peace Prize for his eloquent preaching upon global warming. The lifemate is typically most focused upon Bhava-12 private reflection, invisible activities, meditation and non-petitionary prayer. Bhava-12 receives drishti of Alaxmi Somana-yuti-Guru = not known for its self-restraint. Also 7th-from-Chandra is ruled by Budha-8 = lifemate's emotionalized broad capacity for verbal outflow and her concern with unseen mysteries. Some political observers blamed the ill-considered anti-creativity hidden-messages focus of VPOTUS-pair Music Censorship 1948- Tipper Gore to have sabotaged his political career. 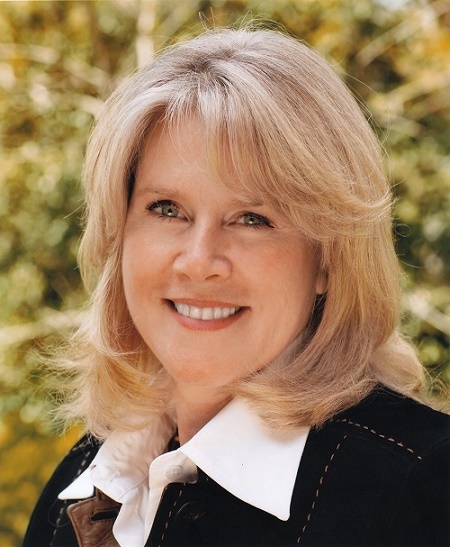 Tipper Gore's Chandra-Kumbha occupies Al Gore's Kumbha 7th-navamsha = their psychic mutual-attraction matching psychic expectations. Also persistently determined Azlesa Kuja-yuti-Shani in bhava-3 communications = does not release its commercial, transactional, messaging objective. Rahu-10 = a lifestyle defined by a passion (Rahu) for leadership (10) As a result, the Ketu-4 native is rarely at home. The total partnership arrangement is flexible enough to accommodate sustained distancing and the partner's Chandra-Kumbha provides a shared goals emotional match. Ruler of 10th-from-Chandra located in bhava-8 suggests that career is ultimately less oriented to executive decision-making (10) and more oriented to conversations, management, meetings, announcements, publications such as books and cinema on topics of emergency, threats, secret information, and scientific discovery. Al Gore is sometimes called "the father of the internet". (paternal Surya-9 = 11th-from-11). Although he did not participate in the technical computer development of the modern internet, Gore was an early political champion of creating (Surya create) the national signal-exchange infrastructure that would connect homes, schools, and businesses to a distributed (11) information web. His dream (Meena) of freely accessible commercial, social, financial, and scholarly information became a reality (11 swabhava of Shani-1, material reality). Sweets-seeking Zukra-11 in the emotionally conflicted and self-medicating 6th-from-Chandra suggests behavioral addictions or substance addictions (typically alcohol or food, but other numbing practices also). Chandra-6 may use food to self-medicate. Often colloquially known as the father of the internet, Gore was not a computer engineer. He was an early, vigorous, persistent, political supporter of a tax-free commercially viable internet economy. USA-Sen-Tenn VPOTUS Climate Change 1948- Al Gore * Guru-yuti-Chandra * although their personal narratives did not always match the public agreement, the marriage between Al Gore and VPOTUS-pair Music Censorship 1948- Tipper Gore lasted for 40 years and was perceived as a "two person career" based on teamwork and intra-spousal support. During the notoriously catalytic Rahu-Shani bhukti, the exceptionally contentious and close-cut USA presidential election resulted in a tragic loss for Gore via a 0.009% margin. The governor of the decision state Florida was USA-Gov-FL 1953- Jeb Bush the brother of Gore's opponent, POTUS-43 Decision Points 1946- George W. Bush. Gore's childhood was based (4) inside the Washington DC hotel suite which his family occupied during the legislative term, while his father served in Congress. For Hasta gentlewomen, the condition of reflective, sheltering, undulating, rhythmic, routinized, culturally rooted, boundary-defending, security-seeking, nourishing, parental, matrikaraka Chandra may considerably affect the outcome. Instructional guidance provided by emissaries from the civilizations of Corvus. Savitra-born ladies are often found in the domestic arts, in caretaking and protectice roles, or in specialties of nourishment, sheltering, schoolteaching, policing, or local safety. Their purpose is soothing and helping. Typically feminine births in Hasta indicate a comfortable, grounded focus into the home realms including parenting, gardening, and environmental care. Themes of foundational welfare, shelter, support, nourishment, and protective service may contextualize Hasta's terrestrial experience. Applies also to Chandra in Hasta. Typical of many born with Surya-12, Tipper's father was largely invisible to her. He left the family during her early childhood and was a shadow figure (12) in her life. Surya-12 often compensates for the invisible material figures by developing vivid imaginary figures. As always for Chandra-Kumbha, Professor Somana rules 6th-from-Chandra generating a lifelong challenge to maintain balanced emotional health. 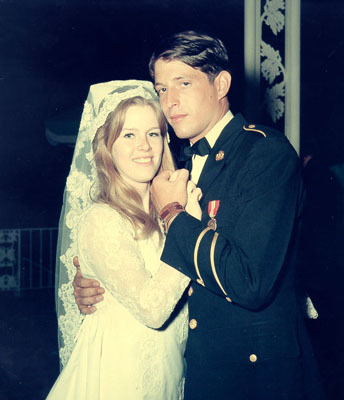 Tipper Gore's mother Margaret Odom Aitcheson was widowed (husband-1 was killed in action in WW-2) . Mrs. Odom then married Tipper's father and later divorced him. Mary Elizabeth Aitcheson (nicknamed Tipper) was her only child. Mom worked as an accountant, volunteered for Red Cross charities, and raised Tipper as a single mother while coping with her own health issues. As the adult political partner of USA-Sen-Tenn VPOTUS Climate Change 1948- Al Gore, Tipper Gore adopted the social policy cause of Mental Health . She cited her own frequent personal experiences of emotional depression as an intimate alignment with this cause, and cited even more influentially her mother's struggles with recurrent severe emotional depression. VPOTUS-pair Music Censorship 1948- Tipper Gore 's social relationships with a cohort of "Washington Wives" (Zukra-Mithunaya-Mriga) started out well but eventually became a problem. Mrs. Gore initiated a vigorous Congressional inquiry into "immoral music" (Mangala-Kanya) which scapegoated modern musicians for a perceived moral decay amongst American youth. 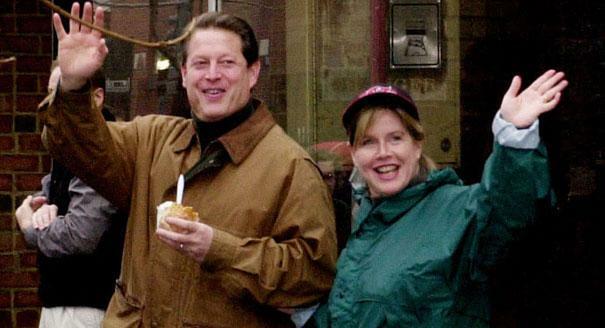 The ridicule brought by Mrs. Gore's actions is considered to have significantly damaged Mr. Gore's political profile. During Shani-Shani swabhukti (Shani rules 5-6; Shani rules 1-12 from Chandra) Mrs. Gore suffered a bhukti of outspoken (2 speech) political narrative that sought to place blame for the dissolution (Ketu) of traditional values (2) upon invisible yet insidious, demonic features of modern rock music (2). Her Ketu-2-Thula suggests foggy, unclear narratives and unbalanced speech. Mr. Gore's 7th-from-Chandra receives drishti of Mula-Chandra + Mula-Guru, suggesting reckless speech of the lifemate.